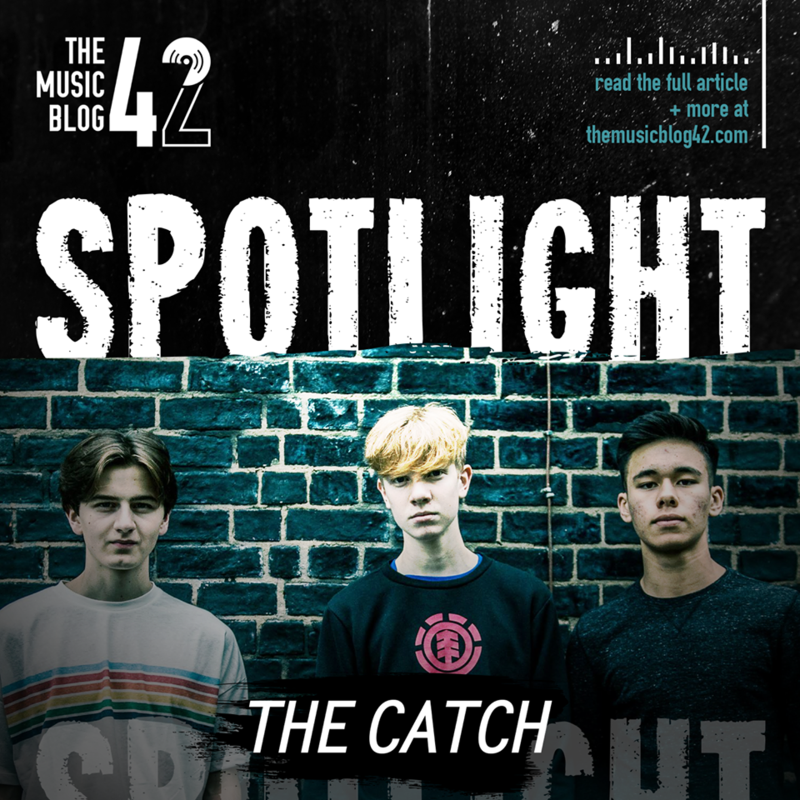 Our second The Music Blog 42 Spotlight is on Suffolk’s own THE CATCH! Rock band THE CATCH, from the renowned music scene in Bury St Edmunds, have already become established names in not only their own scene but around East Anglia. Having recently played at the Cambridge Junction (read our review here), they’ve played at a plethora of other big venues like the home of BSE music The Hunter Club, and the Cambridge Corn Exchange. Playing at venues like these shows the trio’s indescribable talents. The band consists of lead singer Adam Levey, guitarist Eddie Allen and bassist Nyan Horne. Having formed in 2015, the trio released debut single Vain Tongue, a single that spent an incredible 13 weeks in the Cambridge 105 Unsigned Chart. From then on, they were destined to be big names in the local music scene, releasing other great tracks like the mind-blowing Collared, which in our eyes, is one of their best pieces of work. In August last year, they released their second EP 03, starting with the thrashing sounds of Vexed, groove-rock of Artist and finishing with the riff-laden Effort. The band’s influences range from the likes of Scottish rockers Biffy Clyro to Sheffield’s Bring Me The Horizon, and it’s clear through their music with their mega choruses and pounding riffs. These lads have entered into BurySOUND this year, competing against some other big names on the scene like indie-pop outfit Deep City and psychedelic foursome KYANOS. Pop along and see their heat on Friday 23rd February at 6pm at The Hunter Club, BSE! Tickets only £5. New music is on its way from the trio. A new single called Tie Dye is expected for release in February, and we can’t wait! THE CATCH are definitely set for the big time. Search THE CATCH on Spotify!